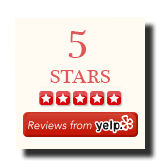 “The experience was fantastic when your helped my [musician] client move into their new home. I am now recommending you to my sphere and Agents in my office. Kim from ReMax Presige just asked me whom she should hire to help her transport a piano! What good timing! So expect a call on behalf of her clients. Pam & Joris Tauper, as per my request, just posted your contact info on her FB page.